One of the biggest industries impacted by the prevalence of social media is the hotels industry. Ultimately, it’s a question of who do you trust more? The hotel website telling you how clean and comfortable they are, or the third party review site that details the grim details of their dirty laundry? In 2010, Accorhotels - the owners of Motel 6, Sofitel and more – made a daring move; they decided to skip their own review selection entirely. Instead, they integrated TripAdvisor’s reviews directly on their website. It was a bold step, and a shining acknowledgement that most people don’t even notice the hotel marketing information at all. They effectively cut out the middleman and provided the information, good and bad, right there on their page. In the digital age it’s the equivalent of letting their hotel speak for itself. Another novel approach a few companies are taking is to use social media itself to guide the reviews. This is an opportunity for pleased customers to speak about their favorite Carnival memories, while avoiding the negative comments. Carnival gains a lot of positive press, and drowns out the few complaints that might crop up. Carnival uses other social media outlets, such as Youtube and Twitter, but they direct traffic back to their Facebook page. They keep it all contained and guide people there for information, as a central hub for their social media activity. Global brands, like Four Seasons hotels, have a bit more work to do. Some of their more far-flung destinations lack the social media infrastructure to really influence anything. Therefore Four Seasons have taken it upon themselves to establish these social media presences. Not only do they offer local people in those locations a social media presence to contact, but they also offer potential travelers an “armchair tourism” experience. People don’t have to wonder what a hotel or city looks like: they can view the series of pictures online and make their decisions from there. 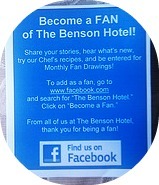 Even though it involves training people to use Facebook or Twitter, Four Seasons believes it’s worth the effort. Many companies are hesitant to use social media as deeply as some of the above companies. One negative review can have far more impact than a dozen negative ones. Positive reviews could be seeds written by the company, and it can be impossible to tell sometimes. Negative reviews rarely lie, though they may exaggerate or simply have a second side of the story left untold. Who wants to risk booking a hotel with bad reviews and potentially ruin a one of a kind vacation? Social media has had a huge effect on travel companies and hotels, and it’s not likely to change. Travelers these days will have to do some careful research and a little guesswork to pick the right hotel. Then again, that’s no different than it used to be, only now the discussion takes place online, rather than in the real world. Travelers will just have to disregard the most extreme reviews and check the ones in the middle of the road, for the most reasonable expectations.